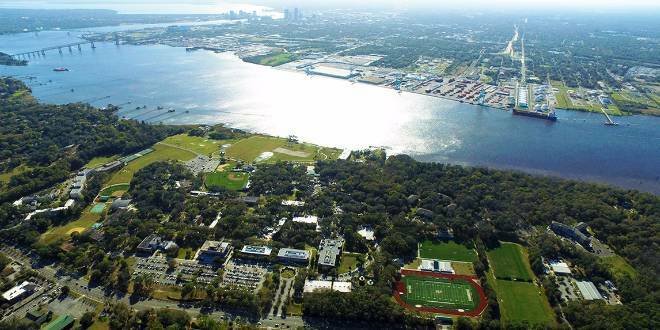 Office of the Provost | Jacksonville University in Jacksonville, Fla.
At Jacksonville University, the Provost serves as the chief academic officer, working with the president to oversee academic policies and activities university-wide. Dr. Christine Sapienza has served as the Interim Provost at Jacksonville University since May 2018. As a direct report to President Tim Cost and the leader of the University in his absence, Sapienza is responsible for four colleges, two institutes, and a diverse range of academic and research support systems. Learn more about the Interim Provost and her staff. The Office of the Provost provides vision, leadership, and oversight for all areas related to Academic Affairs in order to ensure that the quality of student education is a top priority in all decision making. Dr. Demps is leading students through an analysis of how the "Five Bases of Power" were utilized to orchestrate some of the darkest moments in religion, politics, business, and culturn in an effort to help them recognize and avoid negative leadership traits and practices.